Rosann Strawn has recently joined the associates of Waybright Real Estate, Inc. as a Realtor Associate. 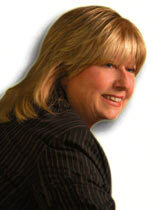 She brings with her a very diverse background in banking and in the mortgage industry. Throughout most of her 35 year banking and mortgage career, she was in branch management, as well as originating and processing both portfolio and secondary real estate loans, commercial loans, and consumer loans in Citrus and Marion Counties. As a licensed mortgage broker, she ran her own mortgage broker business from 2002 to 2006. Rosann has always believed in giving back to the community! For eleven years she has served on the boards of the Habitat for Humanity of Citrus County and the JR Achievement of West Central Florida, serving our Citrus County students. In addition to her current board memberships with those worthwhile non-profit organizations, she is a charter member of the Chamber of Commerce Business Women's Alliance Committee. In the past Rosann has served as a board member of the Nature Coast Chamber of Commerce in Crystal River, as well as on the Ambassador Committee and as an affiliate of the Women's Council of Realtors in Marion County. Thirty nine years ago, Rosann relocated from Gallipolis, Ohio, a small city in the Ohio Valley, settling in the Citrus County area. She resides with her daughter, Roselen and both are very much a part of the Dunnellon community. Rosann is looking forward to a successful new career selling real estate in Citrus County and her continued association with Waybright Real Estate, Inc!